John Denver passed away in October of 1997. In the years since, there have been a number of tribute acts that have kept his music alive, but never before has there been a production of this caliber, presented by his estate. 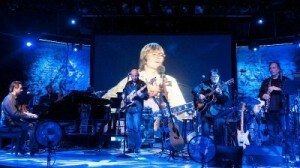 For the first time in fifteen years, audiences are experiencing John Denver in concert, performing hit songs from throughout his career. A two time Grammy Award winner and member of the Songwriters Hall of Fame, John Denver recorded and released around 300 songs, 200 of which he composed. He had four #1 hits, was the first American to perform in the People’s Republic of China, and was honored by the State of Colorado when his hit “Rocky Mountain High” was selected as their state song.